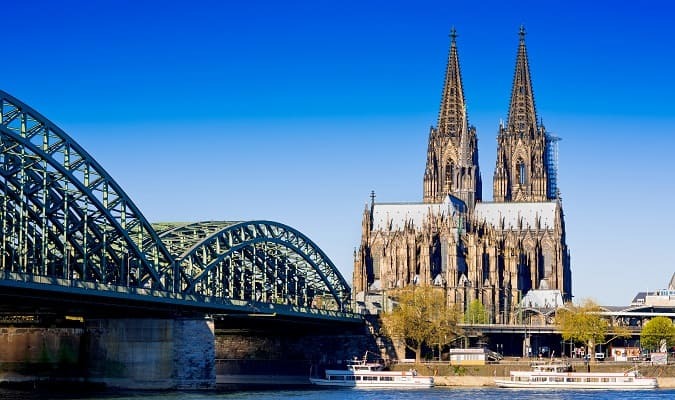 Cologne is a city in Germany located in the state of North Rhine-Westphalia on the Rhine. 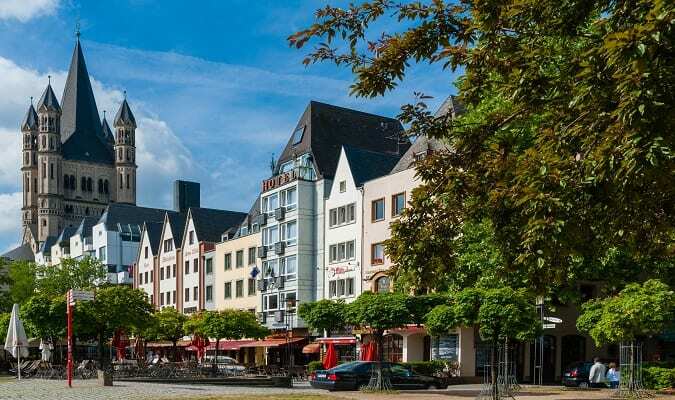 It is one of the most important commercial and cultural centers of West Germany. The Cologne Cathedral is located on the left bank of the Rhine. It is one of the symbols of the city with its Gothic architecture. It is considered one of the oldest cathedrals in Europe. 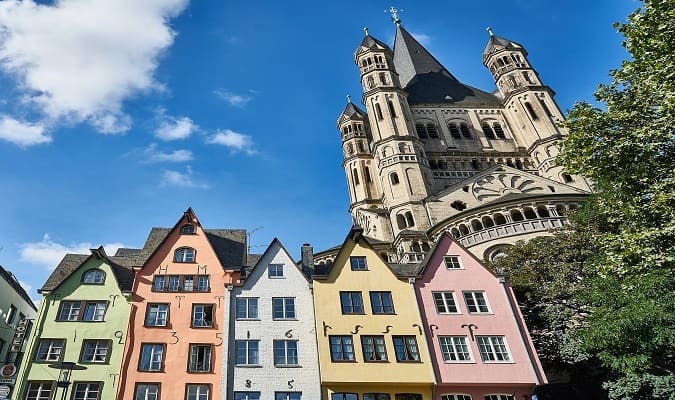 In the old town of Cologne you will find many attractions such as the Kölner Rathaus. In the area you will also find many galleries, boutiques, restaurants and cafés. The Cologne City Hall (Kölner Rathaus) is Germany‘s oldest city hall. The building has numerous architectural references. The Romano-Germanic Museum is an archaeological museum in Cologne. It has a large collection of Roman artifacts. 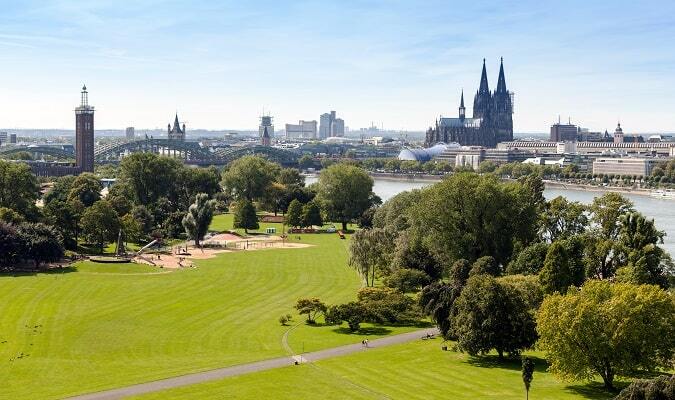 The museum is located close to the Cologne Cathedral. The St. Gereon’s Basilica is a Roman Catholic church. The church has many medieval murals, mosaics and ancient relics. The Botanical Garden is located in Riehl, a district in the north of the city. The garden dates back to 1863 and receives many visitors every year. The Kölner Zoo is located close to the Botanical Garden. 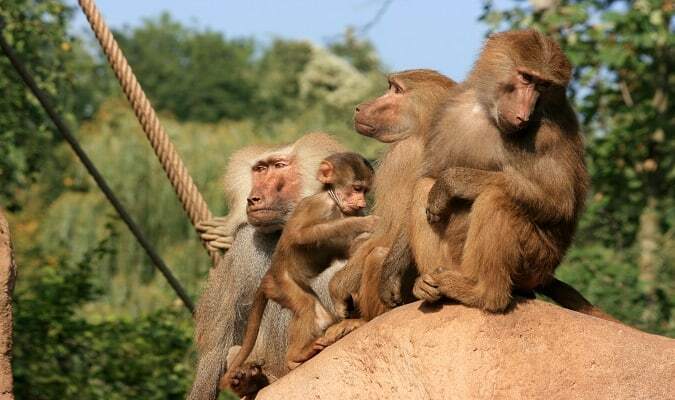 It was established in 1860 and it is one of Germany‘s oldest zoos. The Rheinpark is located between the Mülheim and Deutz neighborhoods. The park is home of the Cologne´s cable car (Kölner Seilbahn). 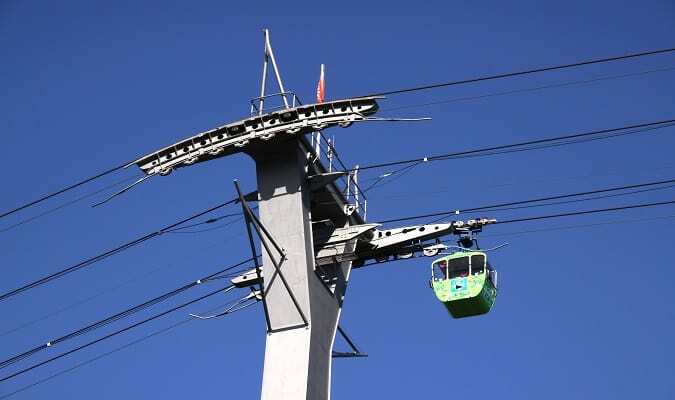 The Kölner Seilbahn is a cable car offering stunning views of the city and the Rhine. The Rheinauhafen is a complex along the Rhine river. The district has many modern buildings, cafés, restaurantes and galleries. 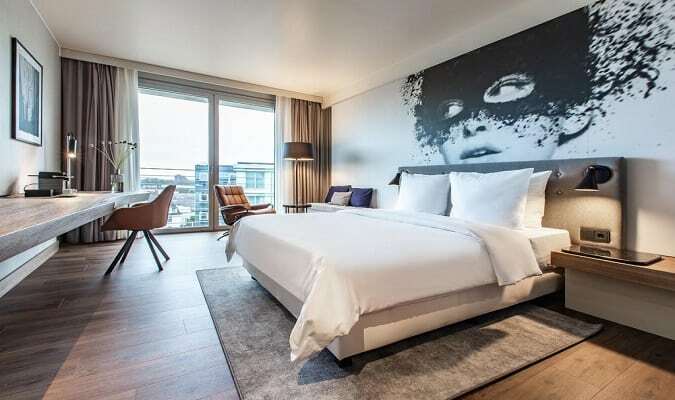 The Hyatt Regency Cologne is located in central Cologne and offers amazing views of the cathedral and Rhine. It has 306 rooms equipped with a flat-screen TV, minibar, coffee maker. The Cologne Marriott Hotel is located in central Cologne close to the Main Station. It has 312 rooms equipped with a flat-screen TV, minibar, safe. 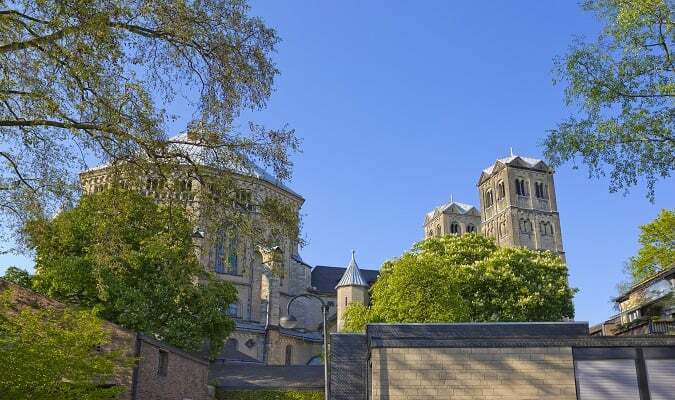 The Radisson Blu Hotel Cologne is located in the Deutz neighborhood 2,2 km from cathedral. 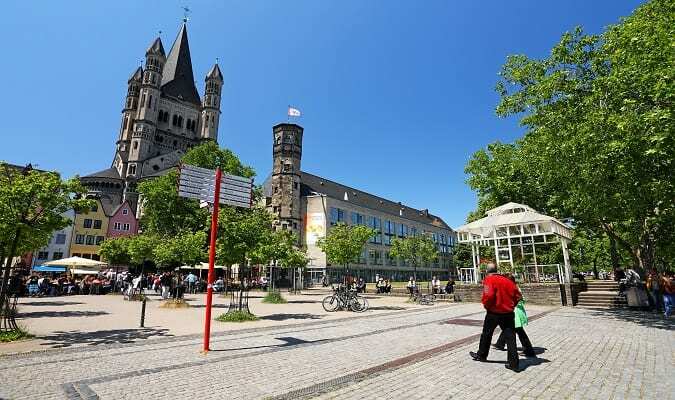 Cologne is one of the most popular cities in Germany for shopping. The most popular shopping street is the Schildergasse as well as the Hohe Strasse which accommodates large department stores. Exclusive shops are concentrated on the Mittelstrasse and Pfeilstrasse streets. The Rhein Center Köln is located 9 km from the central area. Brands: Apple, Armani, Bonitta, MAC, Mango, Michael Kors, Pandora, Saturn, Zara. The City Center Köln Chorweiler is located 15 km from the central area. Brands: Tom Tailor, Douglas, New Yorker. Cologne has easy train access from various cities in Germany. Famous cities nearby: Düsseldorf, Essen, Bonn, Dortmund, Frankfurt, Koblenz, Aachen.